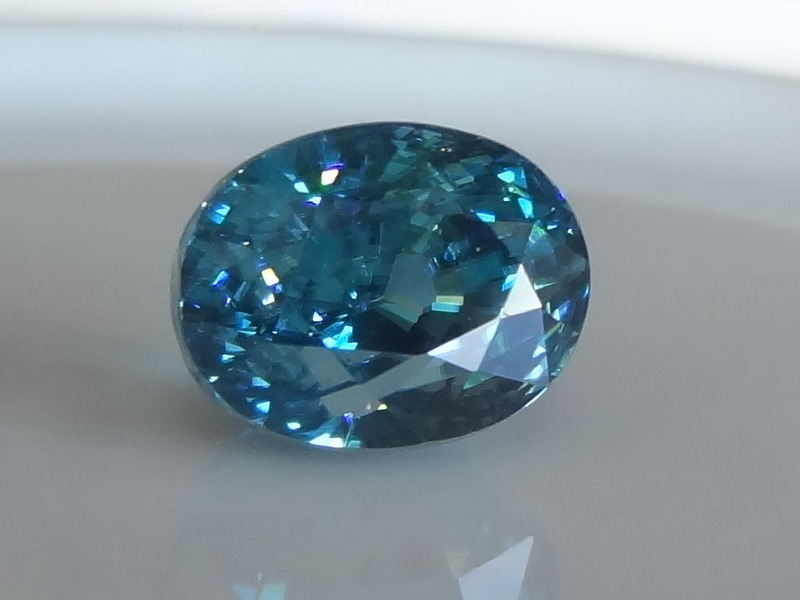 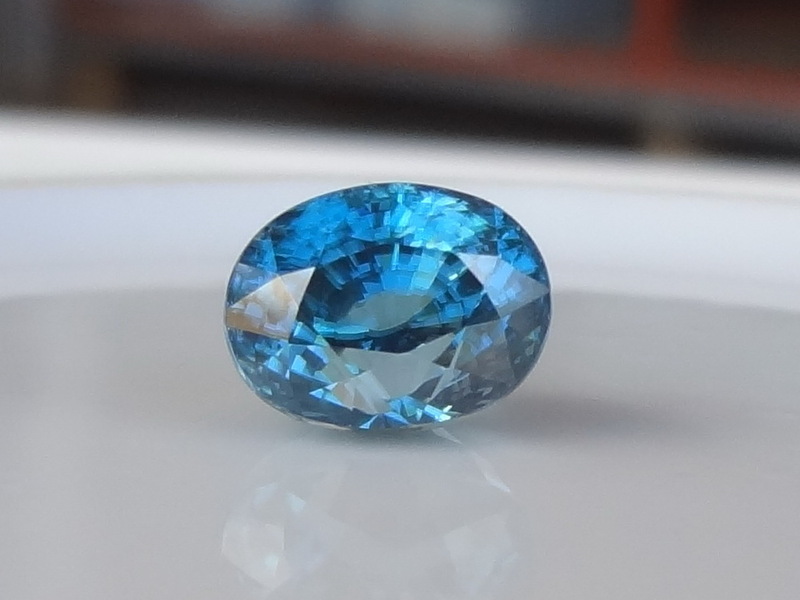 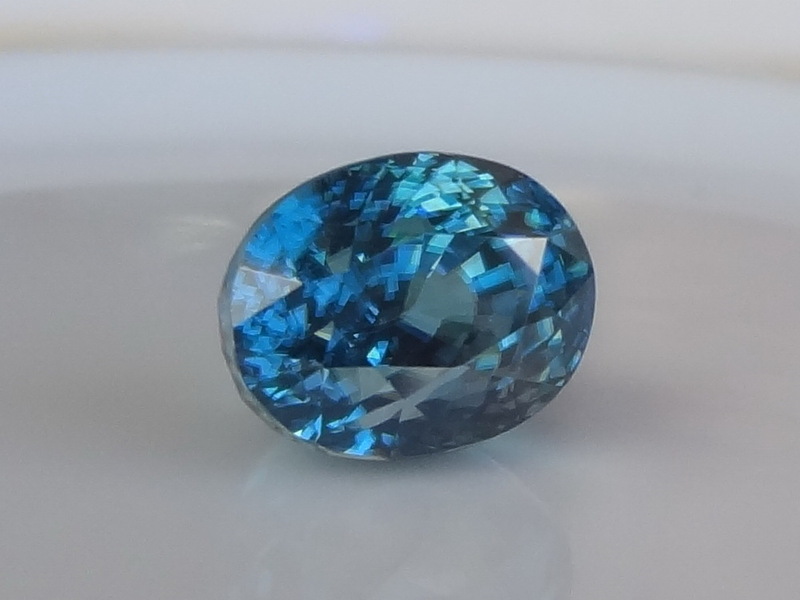 Blue Zircon from Cambodia, 5.68ct. 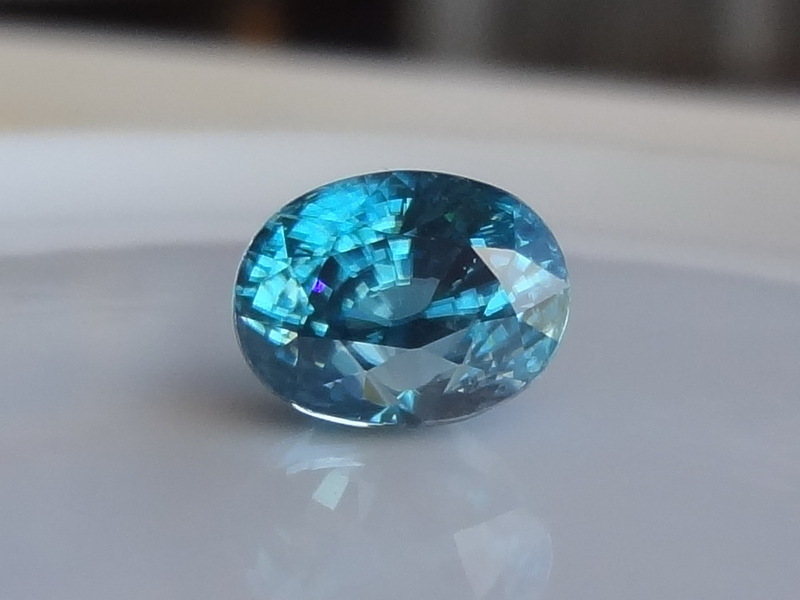 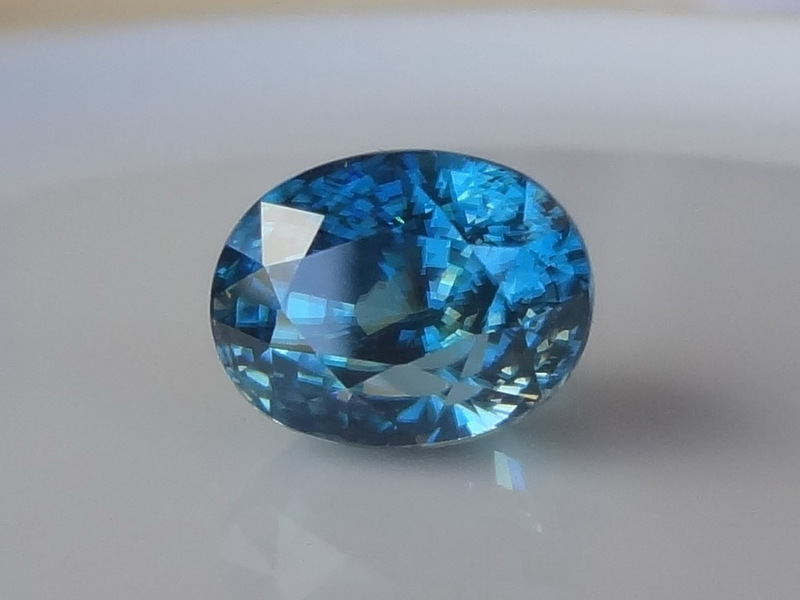 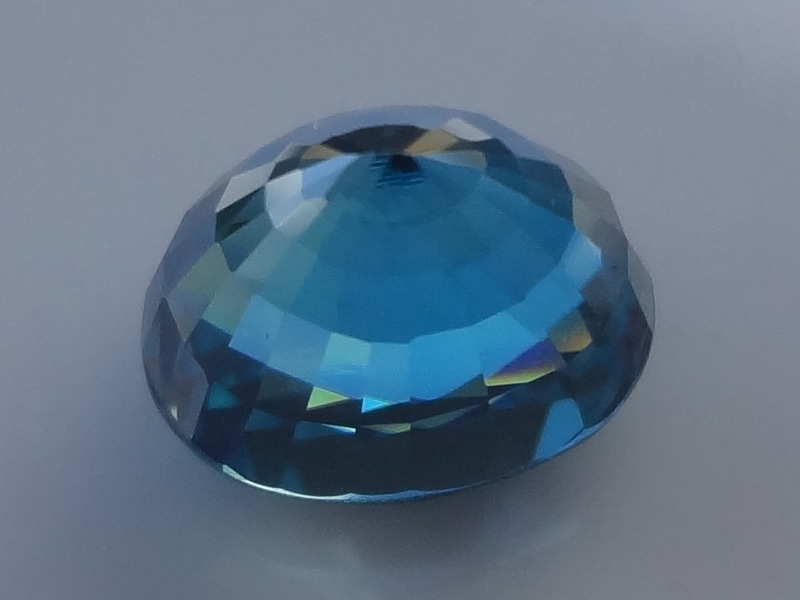 Very hard to make a picture of this blue Zircon, it really looks so different on each photo depending on light conditions, also the double refraction is very strong like for every Ziron, particularly on this one. 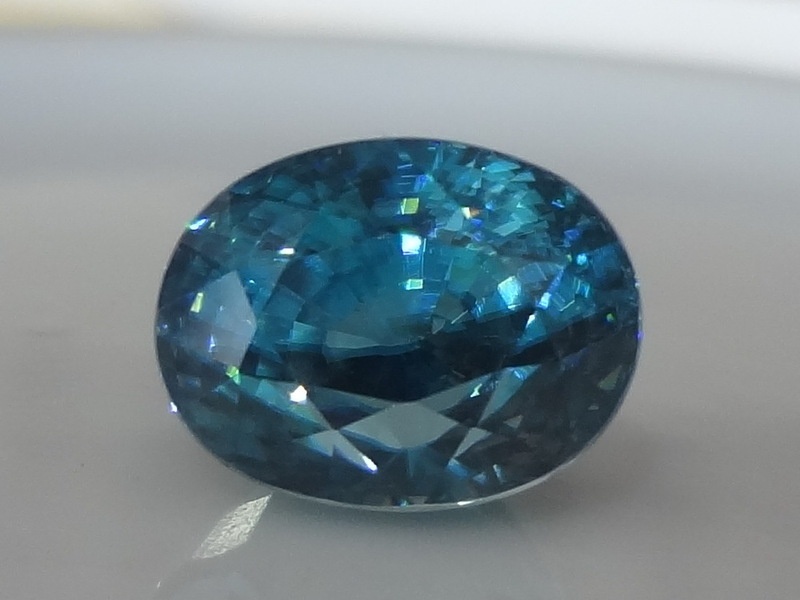 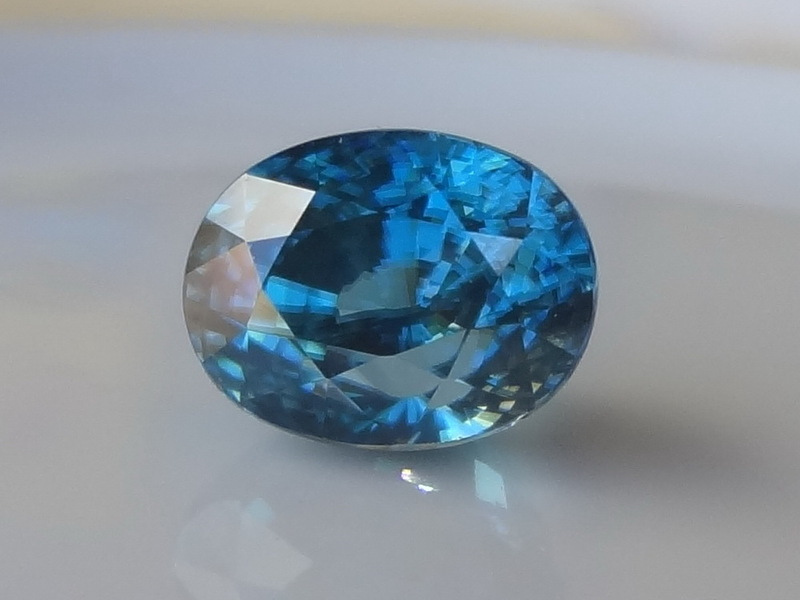 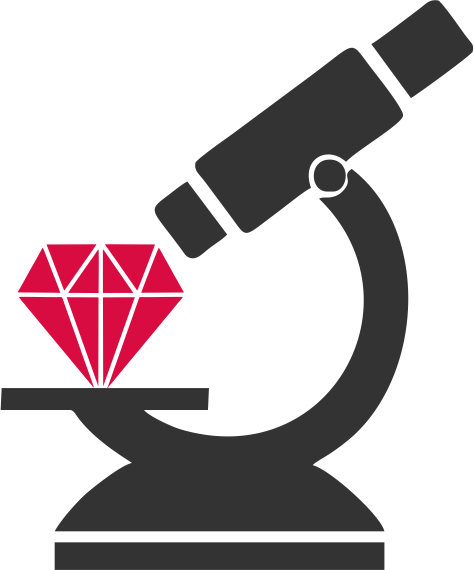 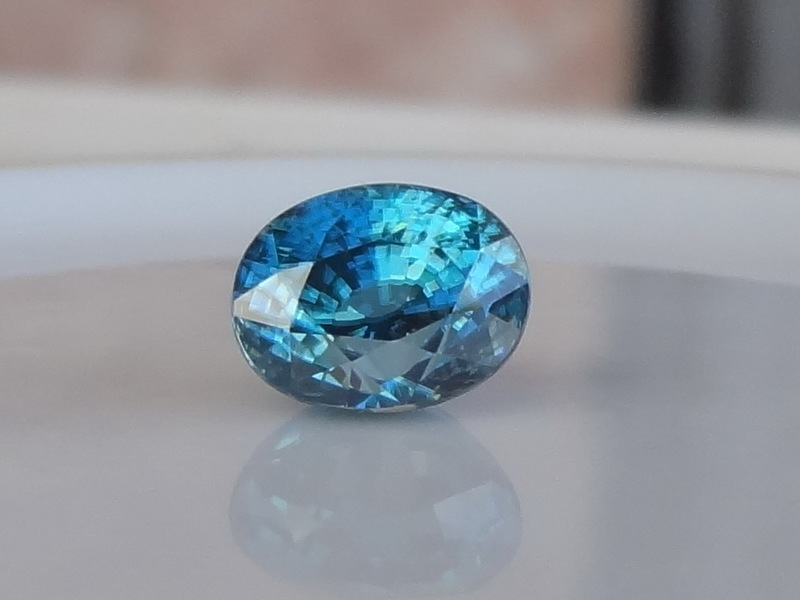 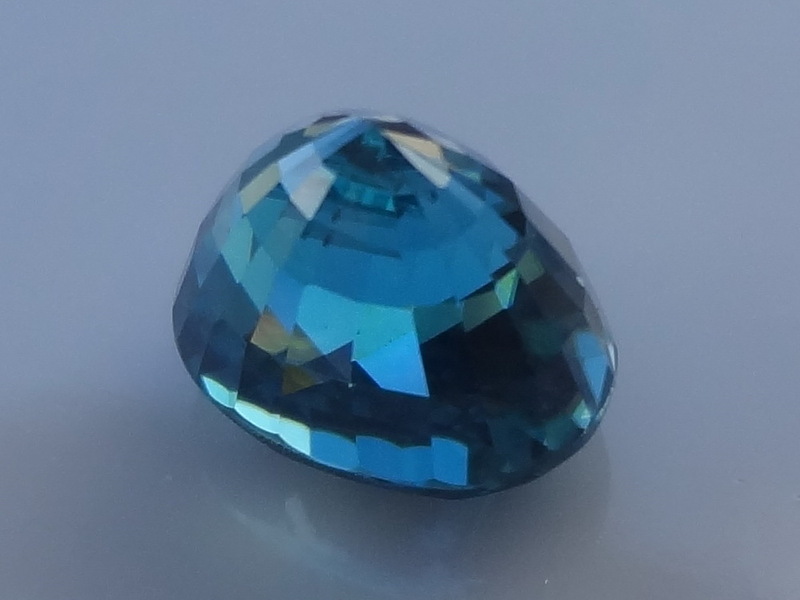 Pictures taken indoors and outdoors, in low light, under shade, with artificial light or direct sunlight and without flash, so you can get see this Zircon in as many ways as possible.